We had been looking for a property for almost two years. The day of the auction had arrived, we had the particulars, we had viewed South Low Farm (Colin Park showed us around as a special concession just before the auction), I had taken the Friday off work and we went to the Town Hall in Kendal. Another auction was just too stressful! 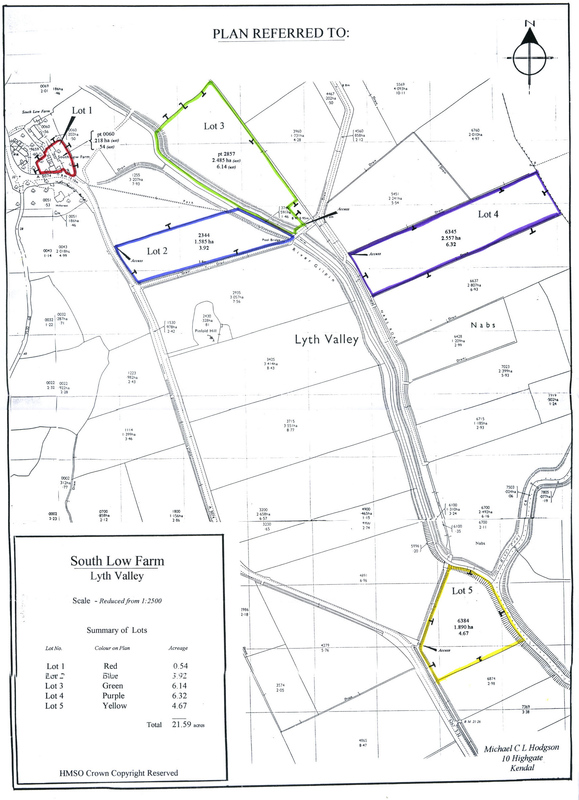 So we did a tour of the estate agents (yet again) and visited one or two properties returning later to Kendal to see how much South Low Farm had fetched. It then went roughly as follows. She told me – I didn’t think she should have! Girl behind the desk “I’ll just speak to Mr Thomlinson.” – a brief telephone conversation. Jean “What - without discussing it with me!!!”. Jean was a bit miffed. Click on the picture to the left for a copy of the sales particulars (.pdf file). The fields, by the way, were all sold separately.